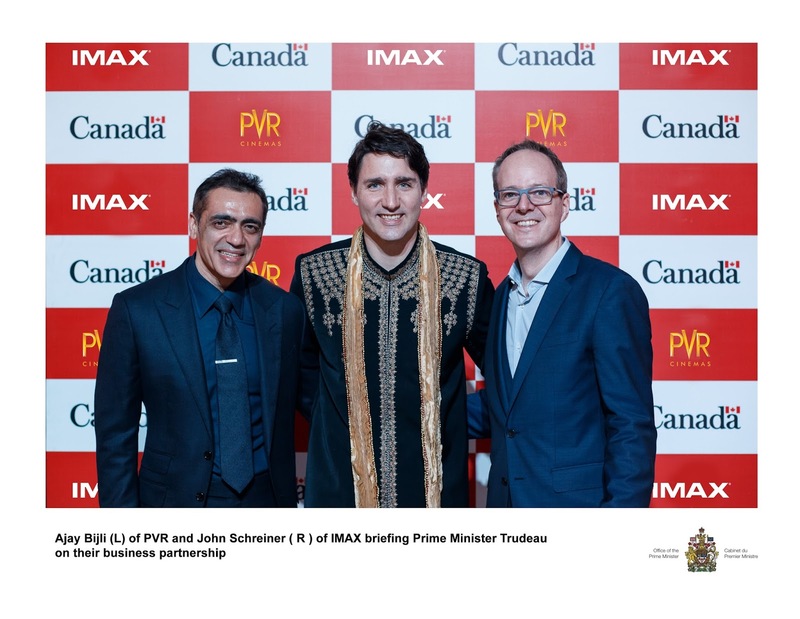 At a business briefing to Canadian Prime Minister Justin Trudeau during his first official trip to India, IMAX Corporation and PVR Cinemas announced an agreement for five new IMAX theatres. 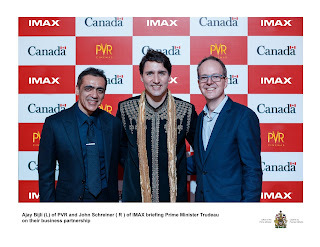 In attendance were Mr. Ajay Bijli, Managing Director and Chairman of PVR Cinemas, and Mr. John Schreiner, Senior Vice President of Theatre Development, Russia, CIS, Middle East and India of IMAX Corporation, who provided details on their business partnership to the Prime Minister. The new IMAX theatres will be located in major metropolitan markets in a combination of new and existing flagship sites. The agreement brings PVR Cinemas’ total IMAX commitment to 15 theatres and strengthens the exhibitor’s position as IMAX’s largest partner in India. In January, IMAX released Viacom18 Motion Pictures’ film Padmaavat, which marked the fourth local-language IMAX Indian film release and the first to be presented in the IMAX 3D format. Padmaavat is now the Company’s highest-grossing local Indian release and third highest-grossing IMAX film overall in the country. The Company expects to announce more Indian IMAX movies for this year. PVR operates a cinema circuit of 625 screens at 134 properties in 51 cities with seven IMAX screens in Delhi, Gurugram, Mumbai, Bengaluru and Noida that are among India’s top-performing IMAX theatres of 2017. Today’s agreement brings IMAX’s total theatre footprint in India to 31: With 14 currently open and 17 contracted to open. PVR is the largest and most premium film exhibition company in India. Since its inception in 1997, the brand has redefined the way entertainment is consumed in India. PVR currently operates a cinema circuit comprising of 625 screens at 134 properties in 51 cities (19 states & UTs), serving 85 million patrons annually. While PVR’s total screen count has reached to 625 screens at 134 properties in 51 cities across India; the premium screen category count stands at 36 screens of Gold Class, 07 of IMAX, 06 of 4DX, 04 of PXL and 04 of Playhouse across the country.